Product prices and availability are accurate as of 2019-04-15 01:16:35 EDT and are subject to change. Any price and availability information displayed on http://www.amazon.com/ at the time of purchase will apply to the purchase of this product. 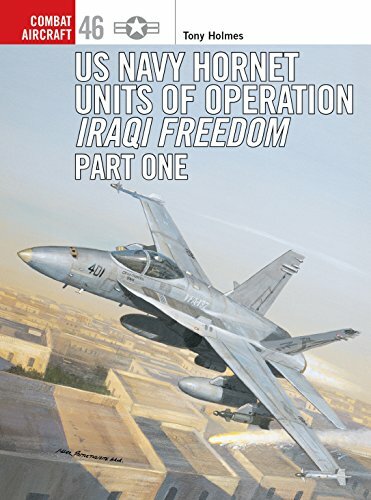 The first installment examining the US Hornet Units' participation in Operation Iraqi Freedom (2003-present). The F/A-18 Hornet in its various guises was the 'universal soldier' of OIF, with around 250 seeing combat. Flown by various squadrons and groups, the Hornet attacked a range of targets including tanks of the various Iraqi Republican Guard units and government buildings housing elements of the Baath party regime. Apart from its ability to drop precision munitions such as laser-guided bombs, the Hornet was also capable of launching anti-radar missiles and acting as an aerial tanker and reconnaissance platform for other strike types. 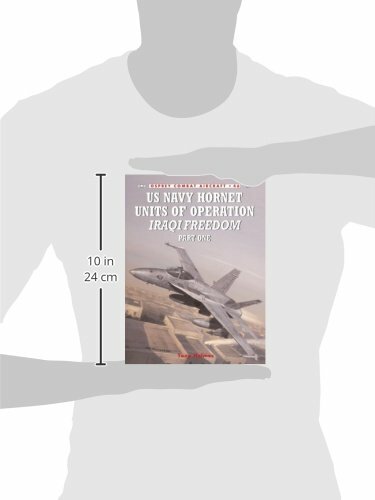 This book explores the Hornet's versatility which has enhanced its reputation as one of the world's leading strike-fighter aircraft.